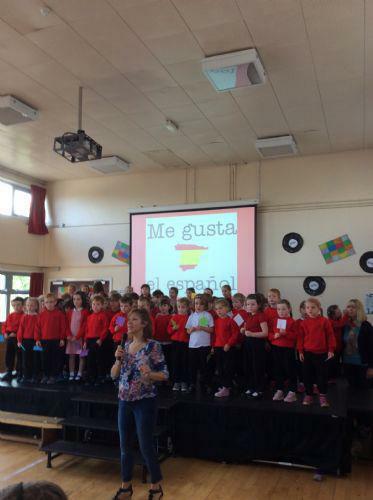 We were treated to the Key Stage 1 Spanish Assembly today and what a show it was! From singing, dancing, acting and conversations, it it clear to see that our pupils are excelling in their Spanish lessons! We want to thank Liliana for all her hard work over the year- today's performance really showed how our children progress from Primary 1 right up to Primary 4 and beyond. Check out the gallery for more pictures.